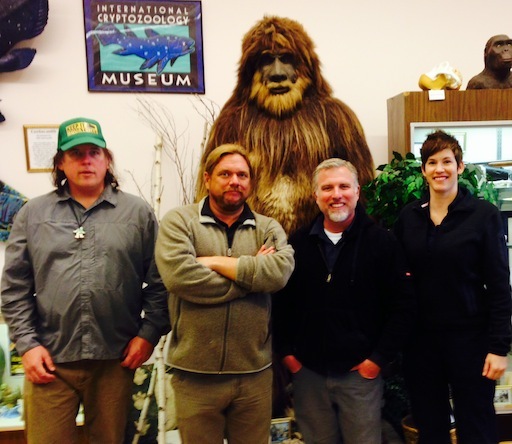 Members of Finding Bigfoot visited the International Cryptozoology Museum on April 14, 16, and 21, 2015. 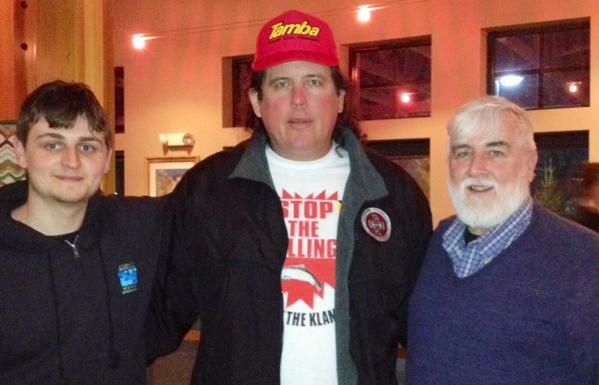 The above photo was taken on April 16th. 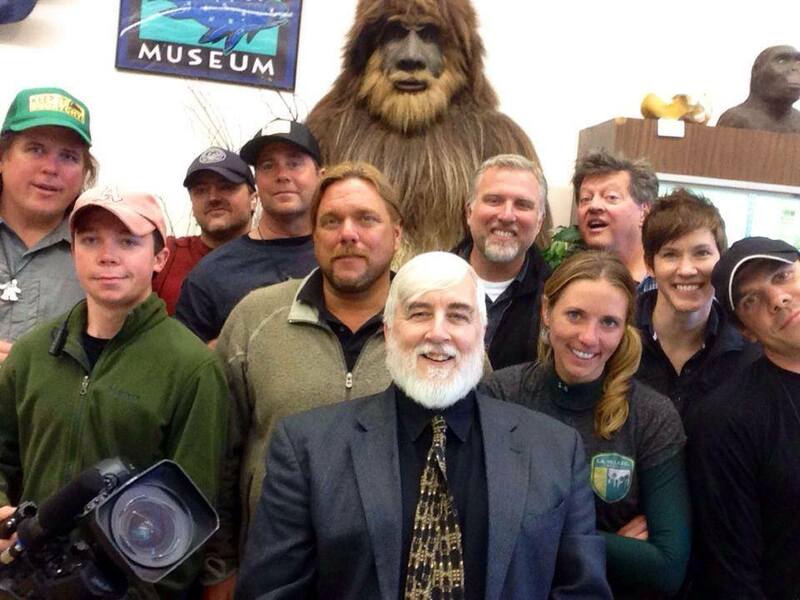 Most of the individuals from the cast and crew of the show, in the photo above, posed in front of the Museum’s Crookston Bigfoot. 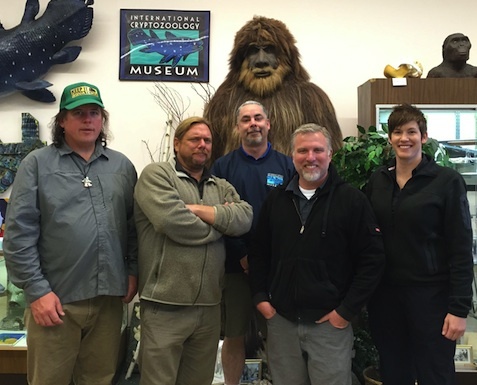 They are, from left to right: Adam Foskey, Ben Kamm, Andy Reid Bartlett, Ryan Golembeske, James Fay, Mike Geschwind, Dana Pustetta, Donovan Milcoch, Matt Moneymaker, Loren Coleman, Cliff Barackman, Mary Brazie, Ranae Holland, Joe James, Rich Monahan. 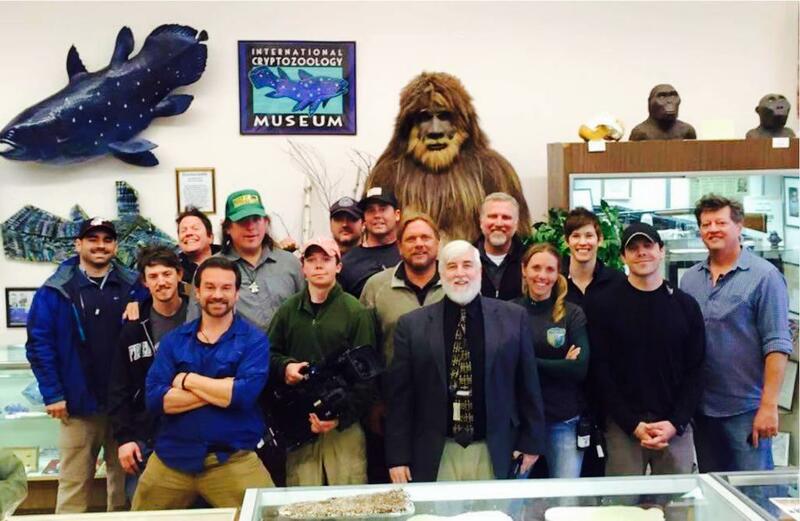 They told me that in their seven seasons on Animal Planet, I was the first person to request an entire crew photograph. 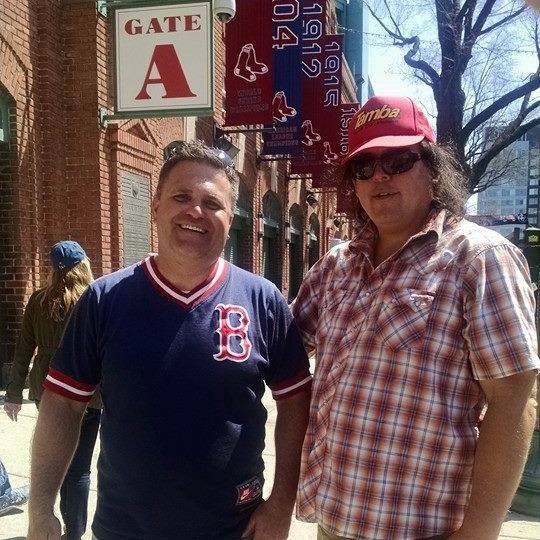 We had fun doing it. 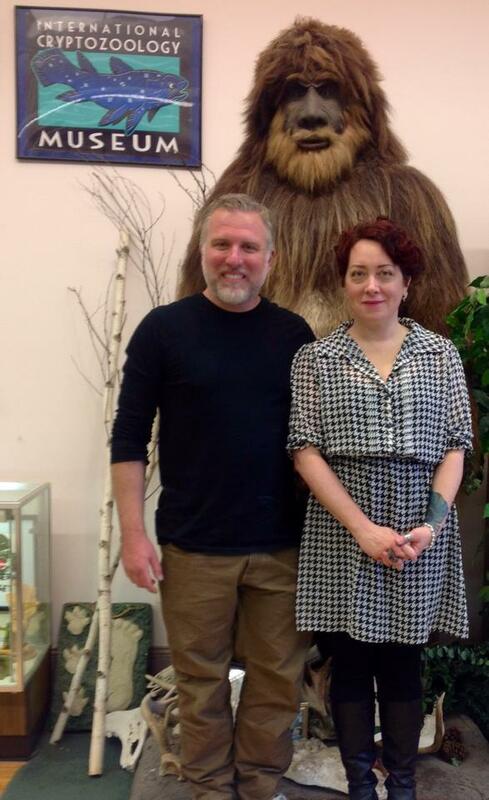 They were in Maine to shoot an episode about the Bigfoot activity in the Pine Tree State. 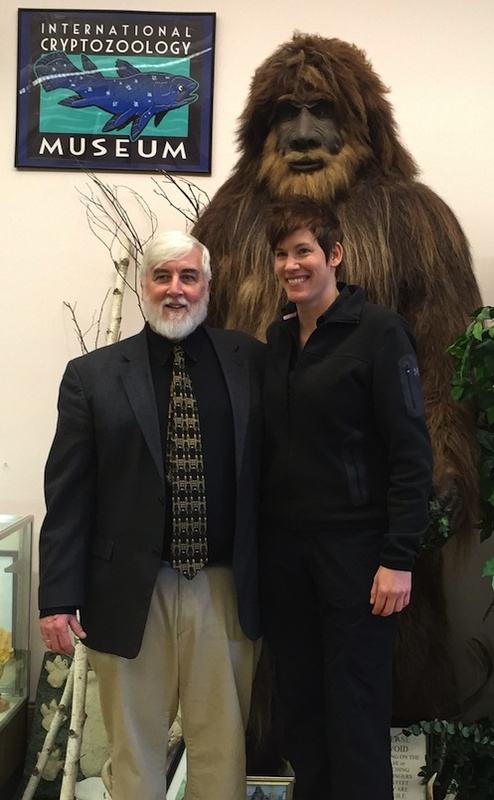 They enjoyed the Museum, held a town hall meeting, visited sites pointed out by eyewitnesses, worked hard in the woods, and used their time off to visit with their New England friends. 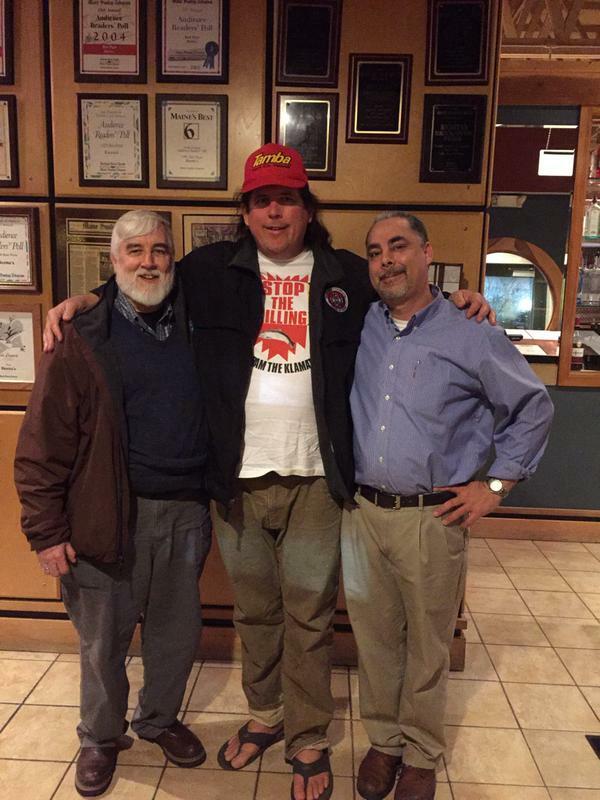 They also showed up in many other Northeast locations, in Maine, Massachusetts, New Hampshire, and New York State. 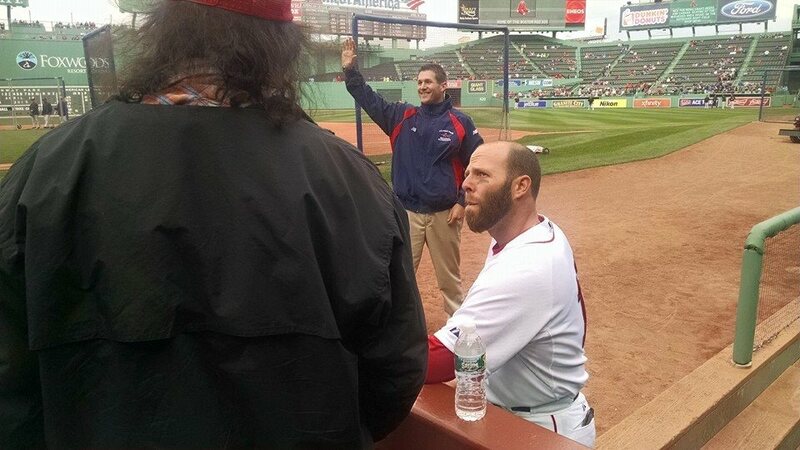 Here’s a gallery of images we have permission to share. Stay tuned. 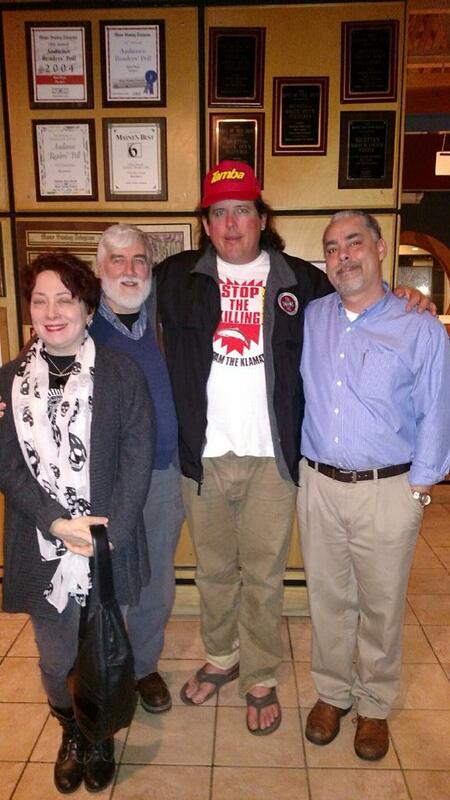 When the episode airs, we will post more stories and photographs. 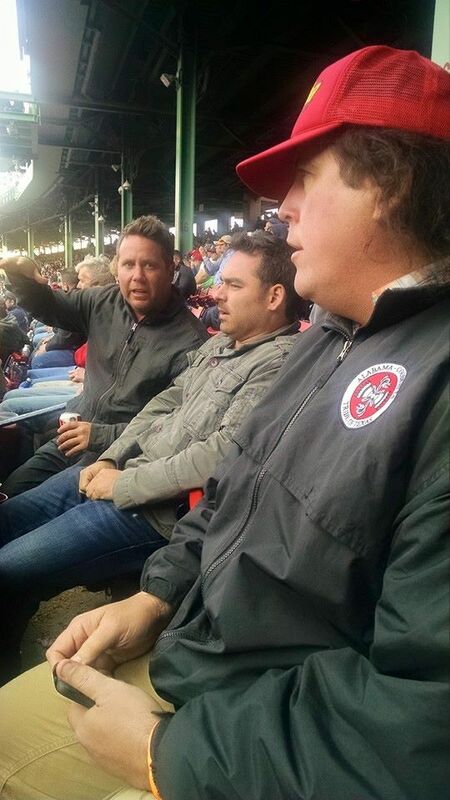 This was suppose to be an Oscar-style-selfie taken by Ryan Golembeske (who left himself out of the picture, unfortunately). 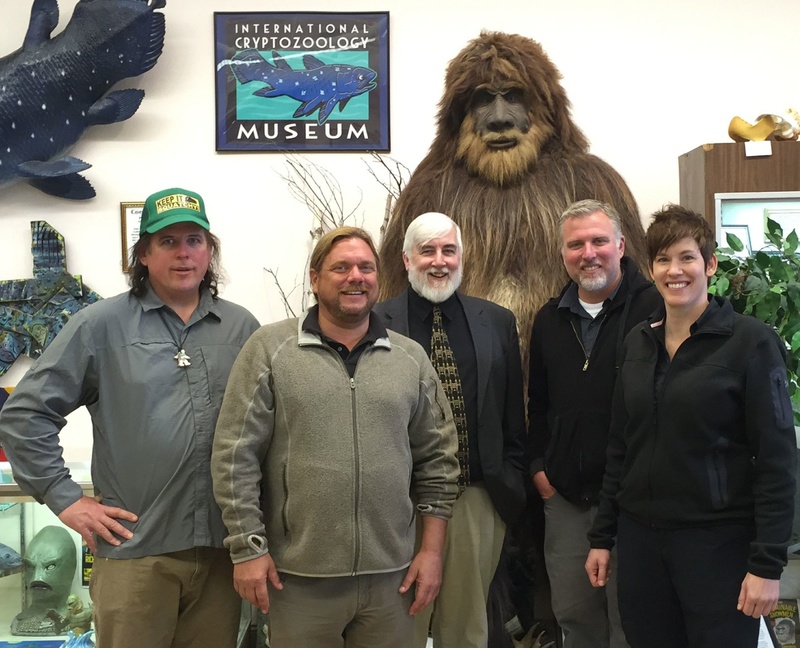 From left to right: James “Bobo” Fay, Mike Geschwind, Dana Pustetta, Donovan Milcoch, Matt Moneymaker, Loren Coleman, Cliff Barackman, Mary Brazie, Rich Monahan, Ranae Holland, Joe James. 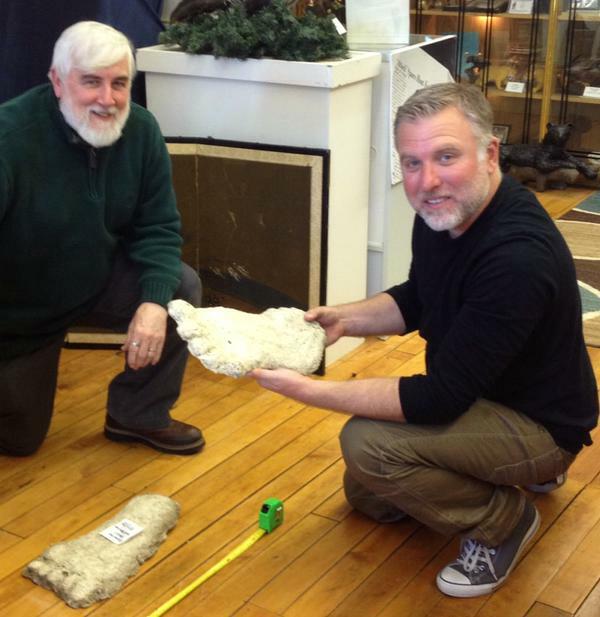 Cliff Barackman spend several hours at the museum on April 21, 2015, with me (Loren) and Jenny, examining the unique cast evidence (originals) to be found in the ICM’s large cast collection. 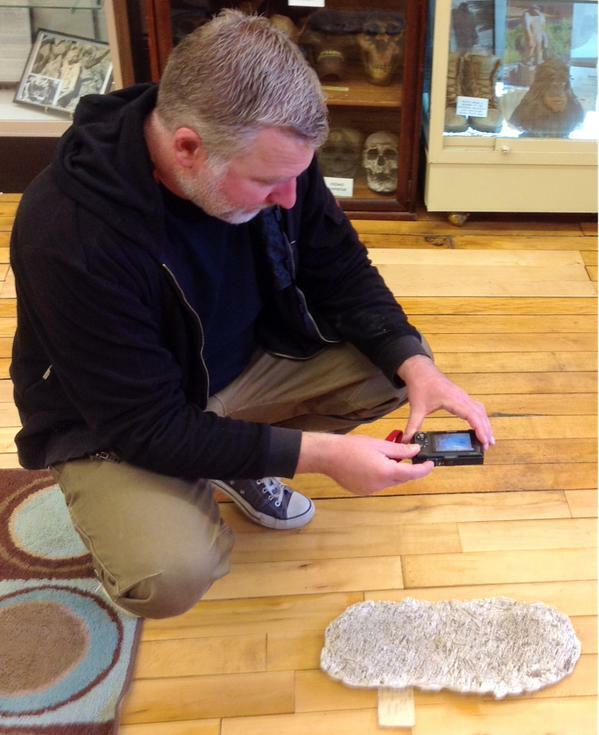 Cliff took photos and documented their discovery locations. 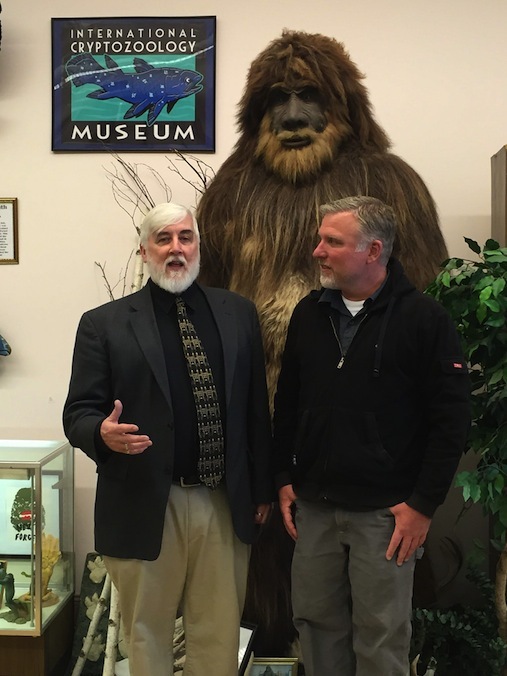 The images and info will be added to Cliff’s and Jeff Meldrum’s databases, as the ICM wishes to share information for the enhancement of Bigfoot studies. 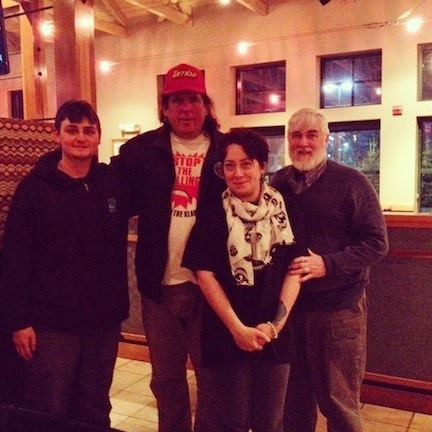 On the evening of Patriots’ Day, April 20, 2015, James “Bobo” Fay, Jenny White Coleman, Jeff Meuse, Caleb Cone-Coleman, and I (Loren Coleman) were treated to dinner at Ricetta’s Brick Oven Ristorante. 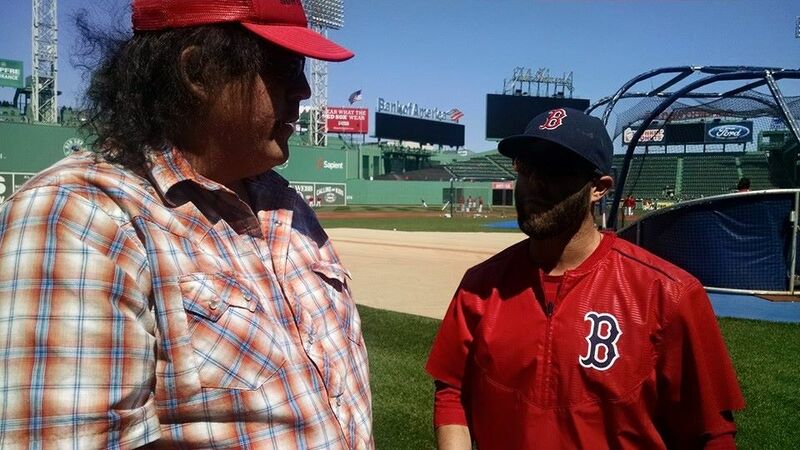 Needless to say, the conversations ranged from Bobo’s old fishing stories to the Finding Bigfoot hosts’ “appearance” on South Park. 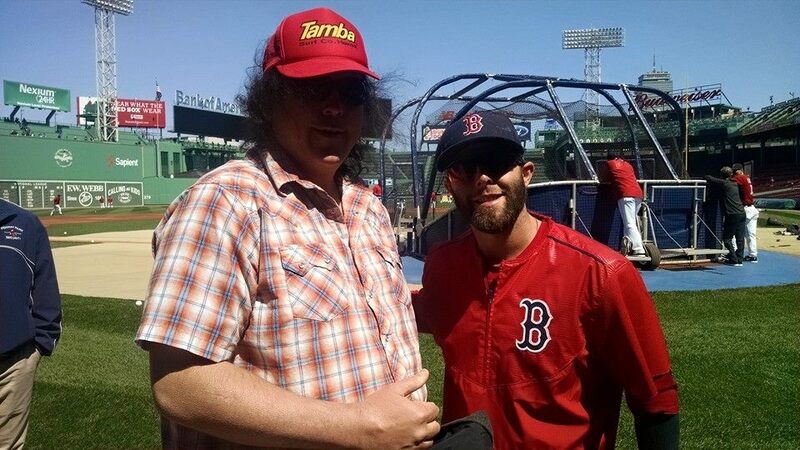 James “Bobo” Fay also was invited to Fenway Park by Jonathan Wilk, the head of Team Squatchusetts, to enjoy a Boston Red Sox game and meet Dustin Pedroia. 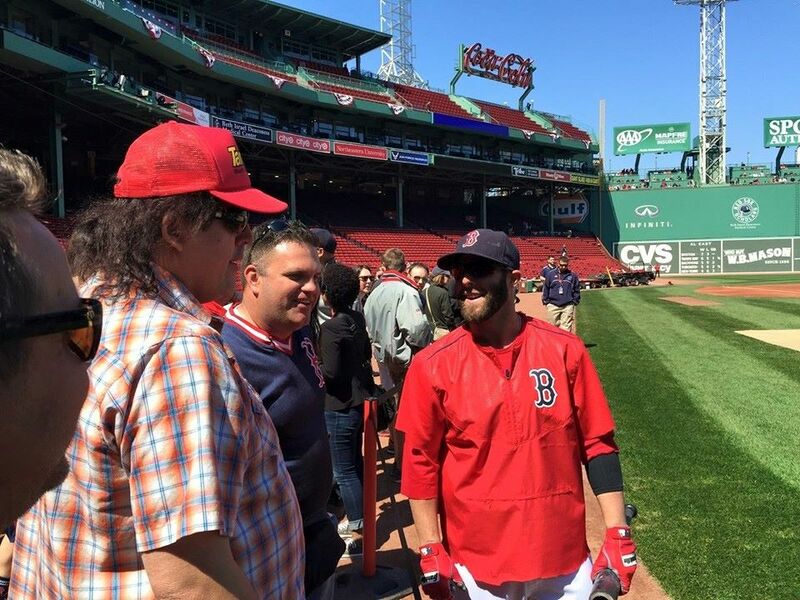 Pedroia is a big fan of Finding Bigfoot, and even has offered them some advice in the past. 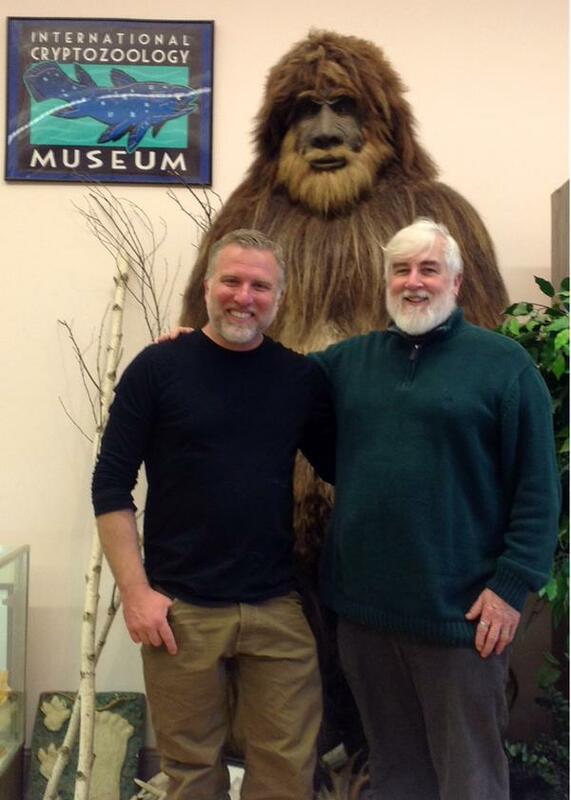 He’s been sending signals he wanted to meet with the cast for years. 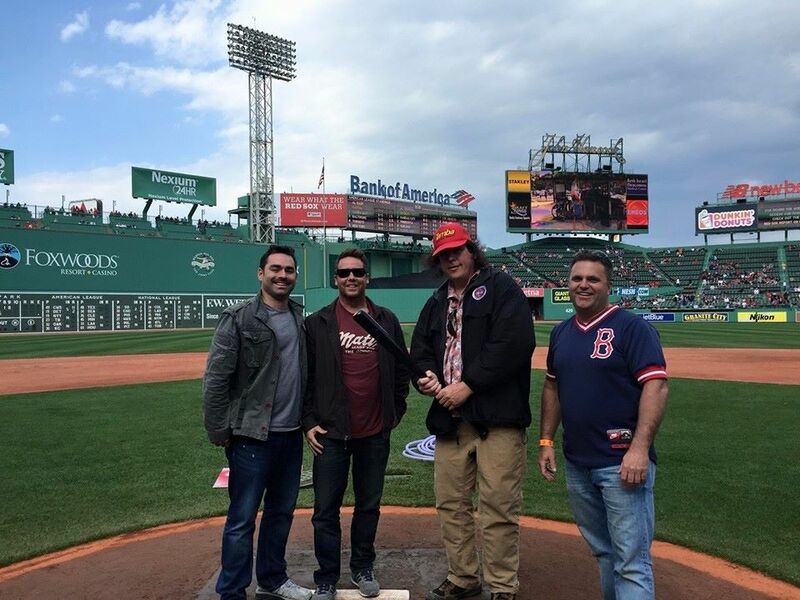 These images show Bobo, two Finding Bigfoot crew members, and Jon during their time at Fenway. 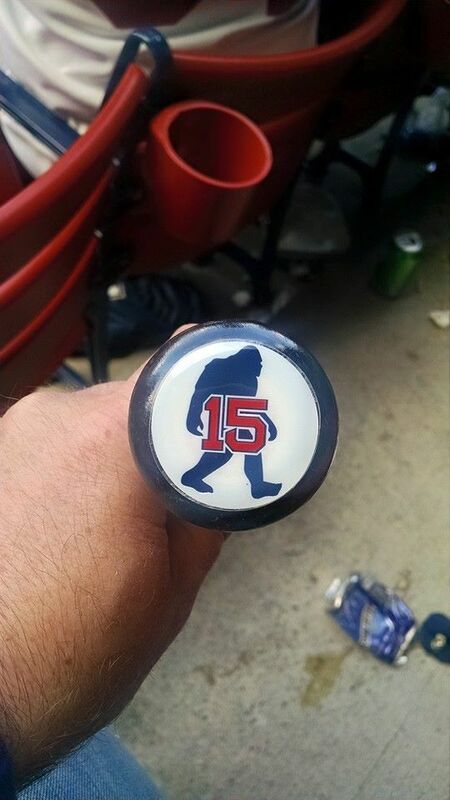 BTW, yes, some of Pedroia’s bats have a Bigfoot on their tops.